A pair of pretty floral names makes a great choice for twin girls. 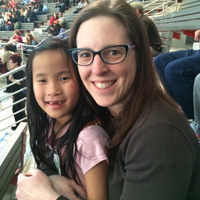 Other florals you might want to pick for your daughters include Dahlia, Lily, Aster, Iris, Laurel, or Daisy. This pair of classic names has been popular since Colonial times—and each one comes with a few cool nicknames, so your kids can choose one that suits their personality. (We’re partial to Abby and Eliza.) Other names that come with lots of nicknames include Margaret, Katherine, Alexandra, Clementine, Victoria, and Annabelle. Virtue names never go out of style—and they’re a great way to stick with a theme, but give the girls very different sounding names. If Faith and Grace aren’t your cup of tea, consider Serenity, Hope, Felicity, Mercy, or Constance. These classic names are currently in the top 10 for girls overall, and in the top three of twin girl names. They both have the same sweet and feminine feel. Looking for other names that have that same sweet vibe? Try Camilla, Mila, Gabriella, Ariana, or Julia. 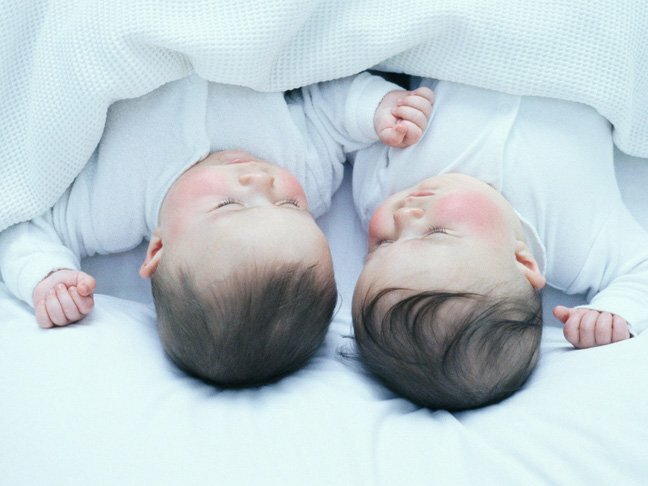 This pair of three-letter names are popular for twins—and in their own rights. Other short and sweet names: Maya, Luna, Eva, Clara, or Cora. These two gems make a great set of twin girl names. Esmeralda means “emerald,” so it’s literally two precious stones. Want something similar? Try Giada (which means “jade”), Diamond, Pearl, or Jade. We love this pair of French baby names that work beautifully together, but aren’t too matchy-matchy. Delphine means “dolphin,” while Vivienne means “life.” Love French names? Juliette, Margaux, Ines, Elodie, Camille, and Josephine could work for you. The twin girl names you pick don’t have to be particularly girly. Just keep in mind that if you pick a unisex name for one daughter, you should go the same route for the others—a Valentina/Quinn pairing just doesn’t seem right. Cameron and Quinn are two of the hottest unisex baby names, but you may also like Charlie, Peyton, Remy, Rory, Rowan, or Tyler.